Even if they haven’t started yet, the NHL Stanley Cup Playoffs are upon us. Champions are being predicted as we speak, first-round match-ups are being projected and, most importantly, teams are jockeying for position. It’s not as simple as winning down the stretch anymore. Legitimate contenders may draw especially hot opponents who have peaked at the right time. Darkhorses who may otherwise have an easier path to a championship may find themselves in especially tough divisions and run into teams that are simply better. Which position is your team in? Pretty good if they’re on this list of the top five teams to avoid in the playoffs. Not so much, if they’re poised to play one of them instead. 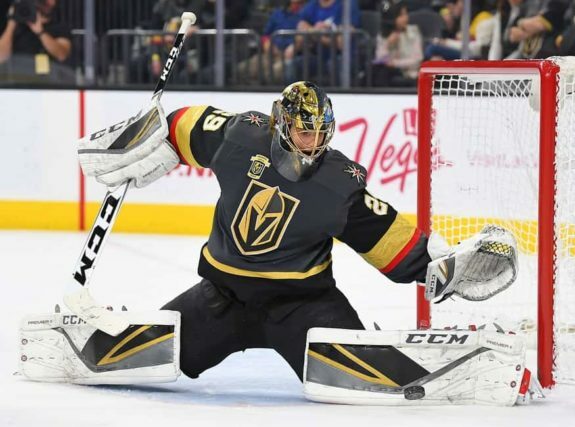 Everyone expects the expansion Las Vegas Golden Knights to collapse down the stretch, and, to a certain extent they have, going 3-3-1 over their last seven. Yes, that’s what passes for collapsing down the stretch for the division leader with the largest points lead over its closest competition (San Jose Sharks; 12). It’s about time everyone accepts that, as the best expansion team in history, the Golden Knights aren’t just a feel-good story. They’re just plain good. That can spell danger come the playoffs, when no one believes they should come out victorious. They’re effectively playing with house money, which could make them dangerous. Of course, some teams may have underestimated them early on, leading to a few victories. Ditto for their co-best home record in the Western Conference (Winnipeg Jets). Whereas Vegas’ bright lights may have easily distracted teams during the regular season, that’s all unlikely to happen when the games simply matter more. The Tampa Bay Lighting are the team with the league’s best record for a reason. Already having hit the century mark in terms of points, the Lightning boast the NHL’s most prolific point-scorer in Nikita Kucherov and the Vezina Trophy favorite in Andrei “Spellcheck” Vasilevskiy. That makes for quite the lethal combination, especially with Victor Hedman on defense and Ryan McDonagh added at the trade deadline. 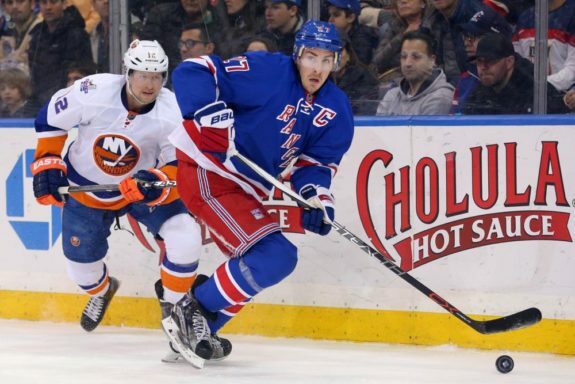 The back-end had been perhaps the team’s biggest weakness, with 32.8 shots against per game. Since that’s been fortified, there may be no stopping them. The only question mark comes as a result of the Atlantic Division in which they play, which is quite likely the weakest in hockey. Their 15-5-2 inter-divisional record hints at no need to worry; They’ve won the games they should have against weaker competition. It’s just not quite as impressive as the Knights’ 16-3-2 against slightly tougher Pacific competition… or the 15-4-2 record the Central-leading Nashville Predators have put together in a division featuring the bottom-feeding, get ready for it, Chicago Blackhawks. 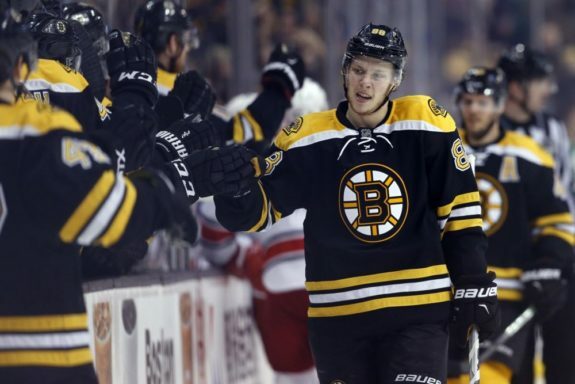 If you’re looking for a darkhorse these playoffs, look no further than the Boston Bruins. They’ve got a resurgent Tuukka Rask in net and one the most impressive young cores in the league (Jake DeBrusk, Danton Heinen, Brandon Carlo, Charlie McAvoy), which isn’t even including the 21-year-old David Pastrnak, who helps form arguably the best line in hockey (Brad Marchand, Patrice Bergeron). Despite being second in the weak Atlantic (14-4-2 in that division, for the record), the Bruins have the league’s third-best record. With three games in hand on the Lightning and six points back, they can theoretically catch the Presidents’ Trophy favorites too. Among playoff teams, they also own the best Shot Attempts % Close at 53.7%, and, like it or not, possession is a good indicator of postseason success. The trick this year might be just making them though, as three of the top five teams in that category are on the outside looking in. Maybe that’s a point against advanced stats and their effectiveness, but the other playoff-bound team? The defending champs. When you’re the defending champs, everyone’s rooting against you. When you’re the two-time defending champs, most everyone kinda wants to see if you can pull off the three-peat. That’s the position in which the Pittsburgh Penguins find themselves. In terms of points, they’re the weakest team on this list (82). They’re not even leading their Metropolitan Division (Washington Capitals; 83). But they shouldn’t be overlooked for the simple reason they’ve got two of the top 10 scorers in the league… and, oh, yeah, Sidney Crosby, who’s No. 12 (Evgeni Malkin, Phil Kessel). While the Lightning have replicated that feat, of having two top 10 scorers (Kucherov, Steven Stamkos), their next highest is at No. 42 (Brayden Point). In other words, the Penguins have more depth than most would give them credit for. That includes on defense, where last playoffs they had a patchwork corps strapped together with little more than duct tape. They still won it all. 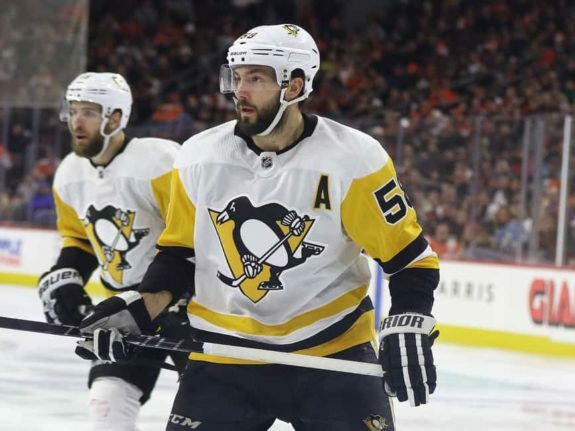 Now that Kris Letang, their best defenseman, is healthy, look out. About the only team with something more to prove than the Penguins is the team that lost to them last spring. The Predators can also back it up. If defense wins championships, the Predators might have the best chance on paper. Granted, they give up a mediocre 32.2 shots against per game, which is fourth best on this list. If the Lightning are a threat, placing fifth in that category, the Predators are more of one. They still drive possession (sixth-best in the league) and points… so many points. Norris Memorial Trophy-candidate P.K. 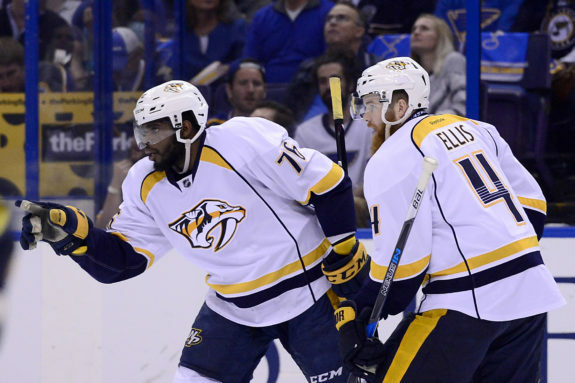 Subban, Roman Josi, Mattias Ekholm and Ryan Ellis form arguably the most impressive foursome in the league, with the latter only returning to action at the start of the calendar year following off-season knee surgery. Since then, Ellis has 22 points in 30 games and the Predators are 21-4-5 (.783 hockey; a 128-point pace) and the hottest team in hockey, with a 10-game winning streak only coming to an end on Saturday… with a shootout loss. There are no shootouts in the playoffs.